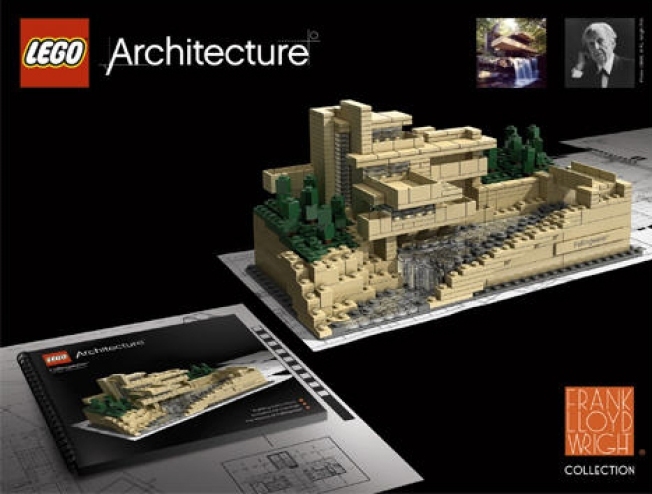 LEGO has announced a new series of architecture sets, featuring famous designs by Frank Lloyd Wright. Chicago has plenty of things to be proud of, but what may have arguably put it on the map is its architecture. World-famous architects played a significant role in the city's development. Now, you too can create engineering masterpieces, even if it's only on a miniature scale. The LEGO Group and Brickstructures, Inc. are soon releasing Frank Lloyd Wright Collection LEGO Architecture Building sets. Each set will contain booklets that feature traditional building instructions along with exclusive archival historical material and photographs of each iconic building. Okay, so neither of those buildings is in Chicago. The Guggenheim is in New York City on Manhattan's Upper East Side and “Fallingwater” is in rural southwestern Pennsylvania. But, considering that over a dozen of Wright's designs are here in the Windy City, it's safe to assume that future releases from LEGO's Frank Lloyd Wright Collection will likely feature a Chicago landmark. Also, judging from the LEGO.com Architecture front webpage, Chicagoans will be able to recreate the tallest building in the country. Matt Bartosik, editor of Off the Rocks' next issue, occasionally misses his childhood LEGO sets.